You are here: Home / Blog / Cyber Crime / Cyber Attacks – are you prepared? When you are attempting to secure your business, you have to be right 100 percent of the time. The hacker only has to be right once. This quote highlights the ever increasing issues we all have, but in particular businesses. A business that is the focus of a successful Cyber Attack can quickly accrue costs that can, at worst, send the business bankrupt. If you lose access to your data through a Ransomware Attack and you don’t have a recent backup, or even a backup at all, you will quickly find it difficult to run your business, and you will lose customers. Not to mention the costs involved removing the threat, and securing your systems. 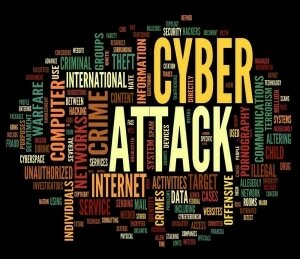 Cyber Attacks are in epidemic proportions. Just in the last two weeks there were two high profile incidents. One was on the Queensland State Government, and more recently, the National Census Website. Although the latter is probably more about the websites inability to cope with the traffic, nonetheless, it was subject to what is known as a DDoS (Distributed Denial of Service) Attack, designed to bring down a website and potentially expose security holes. The average total cost of a data breaches world wide is around $3.79 million. The costs from cyber attacks include, remediation costs, lost productivity, legal fees, lost data and lower stock prices. When Pokémon Go was released, Hackers created bogus versions of the App that was infected with malware which enabled the Hackers to access mobile phones and accounts. Just imagine how many businesses were put at risk from the millions of compromised smart phones. In 2014, a WordPress Plug-in allowed an estimated 50,000 websites to be hacked that allowed Hackers to upload PHP files to the Server and control the website. And it allowed the infection of all the other websites Hosted on the same Server. The total cost to the world economy for computer and network cyber crime is $445 billion!!! Be proactive, not reactive. Don’t wait until something goes wrong. Have someone in your organisation that is responsible for ensuring that all PC’s have good Security Software, and that it is up to date. They must also ensure that all Windows Updates, Java, Adobe Flash and Adobe Reader updates are carried out as they become available. Talk to your employees. Make sure that all your employees are up to speed on doing, and not doing certain things. Things like not opening email attachments they shouldn’t, particularly if they are in .zip format. But any email attachments that seem odd or out of character. Train them to recognise what bogus emails look like. For example, the typical Phishing emails from the Banks, Australia Post, Courier Companies etc. Your employees are the first line of defence, but also the weakest component if they don’t understand what to look out for. Keep your website secure. If you have a Website, particularly if it is based on the WordPress and Joomla platforms, it is imperative that the platform, and all Plug-in’s, are kept up to date. Equally important is the use of security Plug-in’s to help mitigate any Cyber Attacks. Keep your website secure!! Spotty Dog Computer Services can check your computer for viruses to minimise your risk to Cyber Attacks. Ransomware – What can you do about it? Worldwide Ransomware Crisis – Self Inflicted?